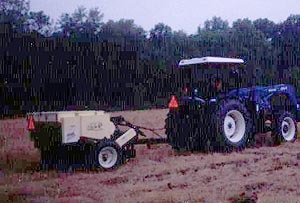 40 hp tractor needed, pull type hitch, drill width 5’3”. Minimum charge $75.00. An additional $10.00 per acre is charged for each acre over 10. PRIOR TO RENTAL: Renter must sign & return a rental agreement form whereas the district will be informed of site where equipment will be used, date of pickup, number of acres & estimated finish date.